That’s pretty and quite intriguing. What is it? 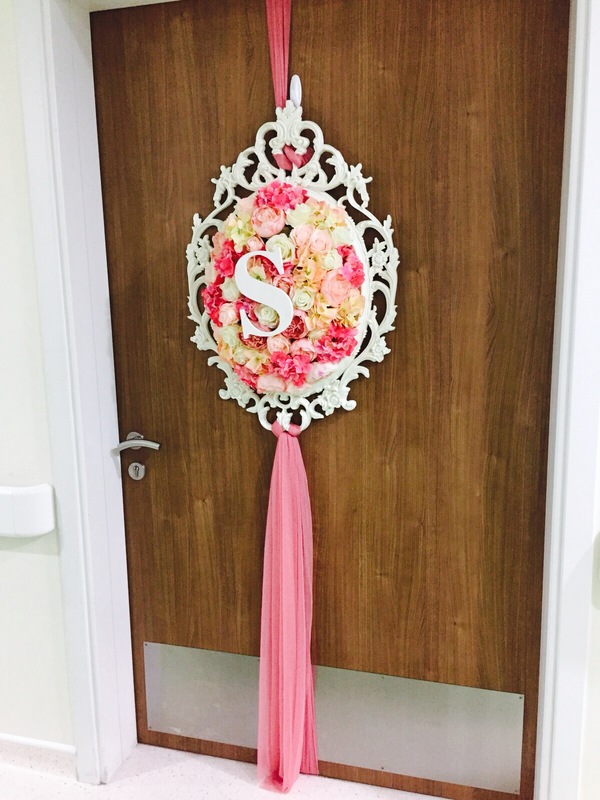 I snapped this in the hospital delivery suite where someone has decorated the door with the newborn baby’s initial. It really was gorgeous! I snapped this in the hospital delivery suite where someone has decorated the door with the newborn baby’s initial. It looked sooo pretty! It really looked so beautiful! Thanks for hosting! That’s very pretty!Is it for a wedding? It was actually a decorated door outside one of the delivery rooms in the hospital. I’m guessing it was the new born baby’s initial, it just looked so gorgeous! Yes, it does look stunning, and such a great idea too!